Nearly two-thirds of the 155 severance tax bond projects vetoed by Gov. Susana Martinez were sponsored solely by Democrats, while only 14 projects sponsored solely by Republicans got the ax. On Wednesday, Martinez’s veto pen eliminated dollars meant to pay for capital appropriations for zoo animals, golf courses, rugby equipment, a dog park, a bicycle recycling program and more. In a sharply worded veto message, the governor explained her vetoes by slamming the Legislature for continuing the practice of earmarking dollars for pork-barrel projects while defeating proposed reforms of the system during the just-ended 30-day legislative session. Her vetoes totaled almost $8.2 million in a bill that now allocates $157.8 million in infrastructure projects around the state. Her vetoes included 17 projects of less than $10,000 and 15 projects funded at $10,000. 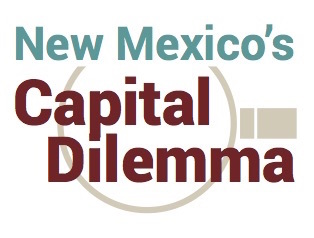 Eight projects for $10,000 each remain in the bill, even though in her message she noted that bond money should be used for larger projects that are fully funded. .
New Mexico In Depth reported last month that more than 500 projects sponsored by lawmakers in this bill were underfunded by a total of $245 million. Martinez vetoed 122 projects allocated at $6.5 million that were underfunded by $61 million. That still leaves 390 projects underfunded by $184 million. Another vetoed 28 projects were funded at the levels requested, while five were overfunded by $155,500. Democratic projects totaled nearly 58 percent of the vetoed amount, while Republican projects accounted for 9 percent of the amount. Another 38 projects sponsored by both Democrats and Republicans accounted for the remaining 33 percent. It’s possible that not all original sponsors put money into the final funding of the projects. The Legislature won’t reveal specific allocations by specific lawmakers. Rep. Eliseo Lee Alcon, D-Milan, and Sen. George K. Munoz, D-Gallup, were the original sponsors of six projects vetoed for a total of $470,000. And Rep. Pete Campos, D-Las Vegas, was the sole sponsor of 10 vetoed projects totaling $214,000. Here’s a table of the vetoes, with original sponsors, the difference between the original proposed amount and the funded amount, sponsor affiliation (Republican, Democratic or both) and more. Download a spreadsheet here. Lawmakers cut 119 infrastructure projects around the state as part of a larger effort to balance New Mexico’s state budget.